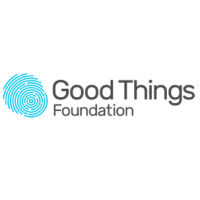 As Learning & Development Manager at Good Things Foundation you will be responsible for delivering innovative and evidence-based approaches to learning across the organisation. You’ll have a deep understanding of what learning is, from traditional skills-based course structures to learning for behavioural change. You’ll be responsible for managing a small team of Learning user-focused content in the context of our overall curricula offer across Good Things Foundations Digital and Social Inclusions themes (for example: Essential Digital Skills, Digital Financial Capability, Digital Health Literacy, Pre Entry English Language). Taking a creative and imaginative approach, this role will also be responsible for designing content to support the workforce developing the skills of people across the Digital and Social Inclusion themes. Including the Online Centres network (tutors and volunteers) and professionals from different sectors e.g. health and social care. You’ll lead Good Things Foundation’s expertise in learning, drawing on best practice within pedagogy and pushing boundaries for new learning techniques, particularly in digital learning. You’ll work closely with the Digital and Service Design Teams to design and pilot innovative new approaches to learning, firmly based on the lived experiences of learners we support. Most importantly, you’ll need to be an individual with drive, energy and passion who meets Good Things Foundation’s core values & behaviours. Please read the attached Job pack which includes the Job Description and Person Specification.